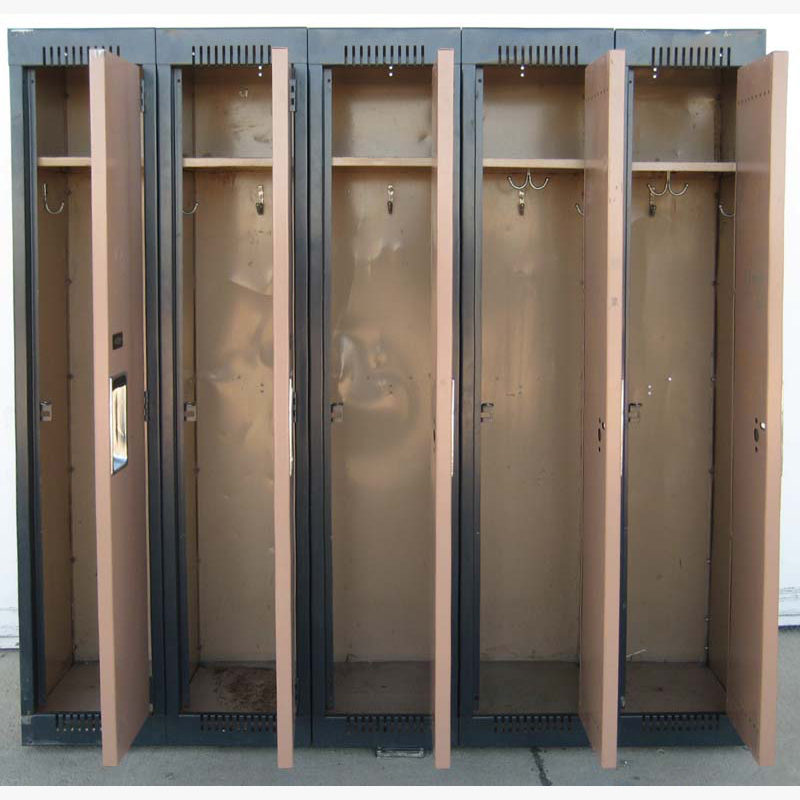 These Garment Storage Lockers are available on www.buyusedlockers.com where they have a huge selection to choose from if we need additional supplies. 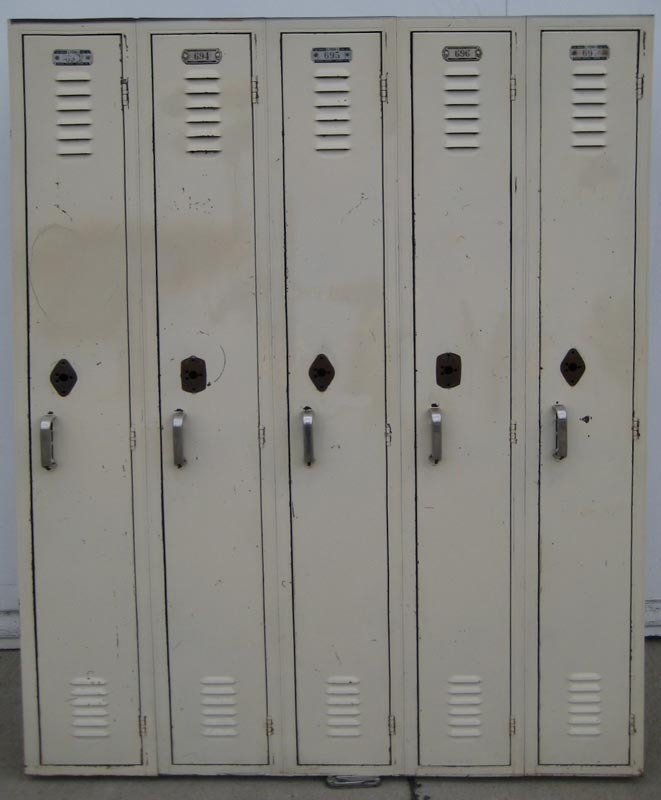 These single tier garment storage lockers for sale have been carefully refurbished and are in perfect working condition. Measuring 12” wide x 15” deep x 60” tall, they have solid double pan doors with piano-style hinges and a single-point latching mechanism. 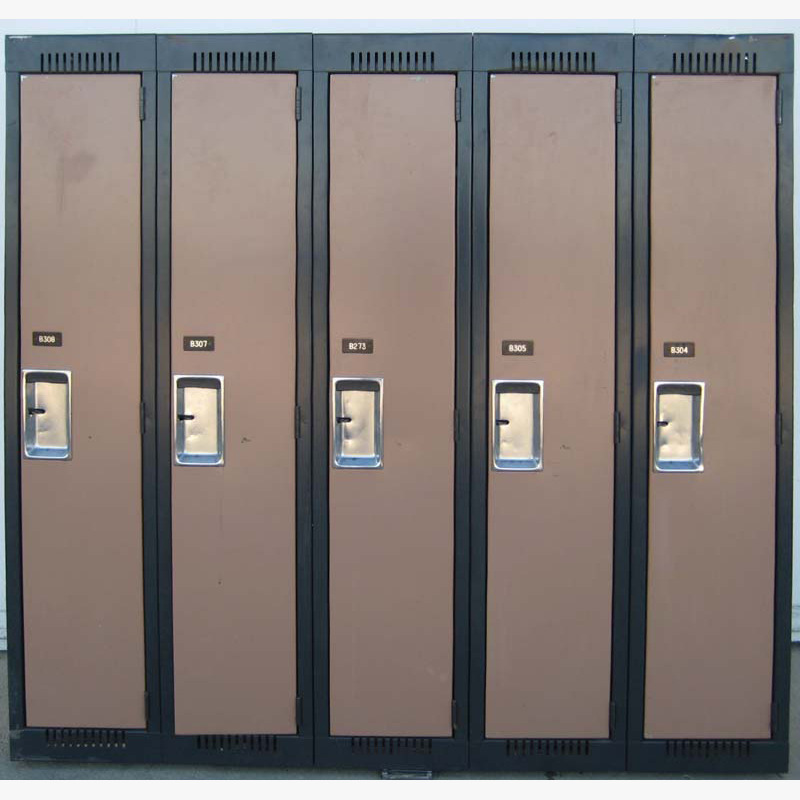 The rigid, durable construction of this type of premium locker door is quiet to operate and doesn’t allow for flexing of the door or hinges, which provides superior security that’s easy to use and maintain. 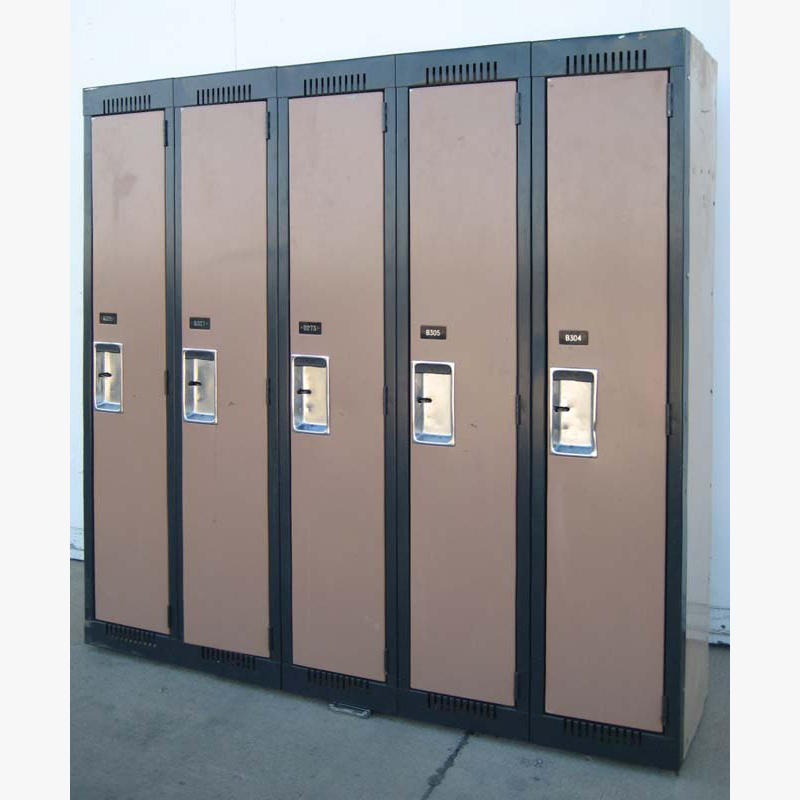 Garment lockers are particularly useful in restaurants, laboratories, warehouses, spas, or even at home in your mud room. The solid steel top shelf is just right for storing small personal items like hats, gloves, goggles, purses and wallets, while the hooks underneath the shelf provide a place to hang jackets, uniforms, smocks, linens, towels, backpacks and more. The stylish two-tone exterior finish of black frames with brown doors looks great in any setting!